Today we bring you some wonderful fragrances by Harvey Prince. They are eco-friendly, cruelty-free, luxurious fragrances and have been featured in Cosmopolitan Magazine as well as Birchbox. They sent us two fragrances to sample: Ageless and Eau Flirt. This scent was crafted to defy skin's natural age-revealing scent. Recent studies conducted by the Smell & Test Treatment and Research Foundation in Chicago have found pink grapefruit and mango to be the olfactory antidote to aging by disguising the familiar scent of age, caused by the breakdown of fatty acids in your skin. Ageless claims to make you feel and smell 8-12 years younger. I loved how this was a light scent that still had the complexities of having so many different notes. When I think something is "fruity" and going to make me "smell younger" I automatically think about something uber sweet and teeny-boppery. This is totally not like that. It is a light smell that is slightly sweet but not overpowering. It is a sophisticated scent, but not musky at all. This is a beautiful scent that is very easy to wear at any age! You can purchase Ageless HERE. This perfume contains notes of pumpkin pie and lavender, which have been shown to evoke a more passionate response in men than any other smell. Experts believe men subconsciously associate pumpkin and lavender with happy, positive and stimulating memories. The top notes are sweet lavender and a cocktail of bright citrus, followed by a mingling of feminine florals, freesia, ylang ylang and Jasmine. Delicate spices and warm nighttime amber offer a graceful and balanced flourish. This is a very pleasant scent that I would recommend to everyone who likes lighter fragrances. It's so light on my skin that I feel it fades faster than other scents I've tried, but it's so fresh and clean I don't mind reapplying multiple times during the day. When I think "seductive" I usually think of deeper, woody fragrances but this is the opposite. It is a light and airy fragrance, and reminds me a lot of the Ageless scent in that it's not too strong or sweet, and it is sophisticated. 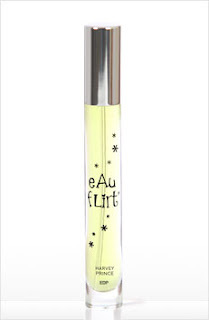 You can purchase Eau Flirt HERE. **Special for TruBeautyGems readers- At the moment, perfumistas may receive a free sample of the Ageless roll on with the code "sampleageless" plus shipping. If you are interested in purchasing the 100 ml size of Ageless, use the code "agelessvintage" to get an extra 50% off the first generation box. We will be giving away 12 bottles of Harvey Prince fragrances over the next several days. The "must" and "optional" list will remain the same for all giveaways, but we will split them into a few different Rafflecopters and add a few fun tasks to each to keep it interesting and also fair! There will be 10 winners for the Ageless perfume and 2 winners for Eau Flirt. This is an international giveaway, and Harvey Prince's company will be shipping the prizes once winners are chosen and respond with their address via email. Click "read more" below to enter BOTH Rafflecopter giveaways. excited about the ageless perfume!! I want the flirt perfume! 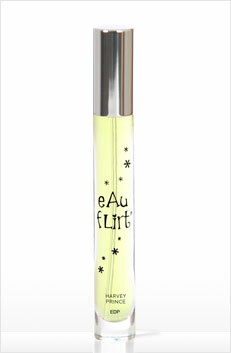 Eau Flirt = yes please! Jasmine is my favorite! I love ageless, it's one of my favorite perfumes ever and eau de flirt is really great too! I've tried Ageless and love it, so I'd love to try Eau Flirt! Most excited about Ageless perfume. Thanks for the giveaway!! My favorite perfume scent is Estee Lauder's Pleasures. I would love the Yogini perfume! Oh I want this perfume!!! My favorite scent is Eau de Fling from Harvey Prince which I acquired recently so I am super excited to try the Ageless or Eau Flirt! My favorite perfume scent is a more floral but less sweet sort of perfume. I still love sweet smelling perfumes but love the floral ones more. i want to try ageless!!! I'm the most excited about Eau Flirt! I;m excited about the flirt fragrance! When will you be announcing the winners for Eau Flirt? Or will you wait for the Ageless giveaway to finish first and announce all of the winners at once? Either way - good luck everyone! Congrats to the winners of Eau Flirt! Good luck to everyone in the Ageless contest! 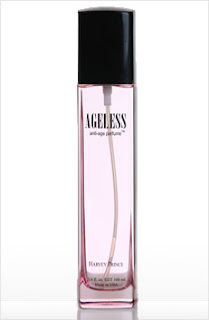 I am thinking that I would really like the "ageless". Anything to make this old lady feel younger! I'm most excited about ageless!